is also designated as SH2-238 in the Sharpless Catalog. 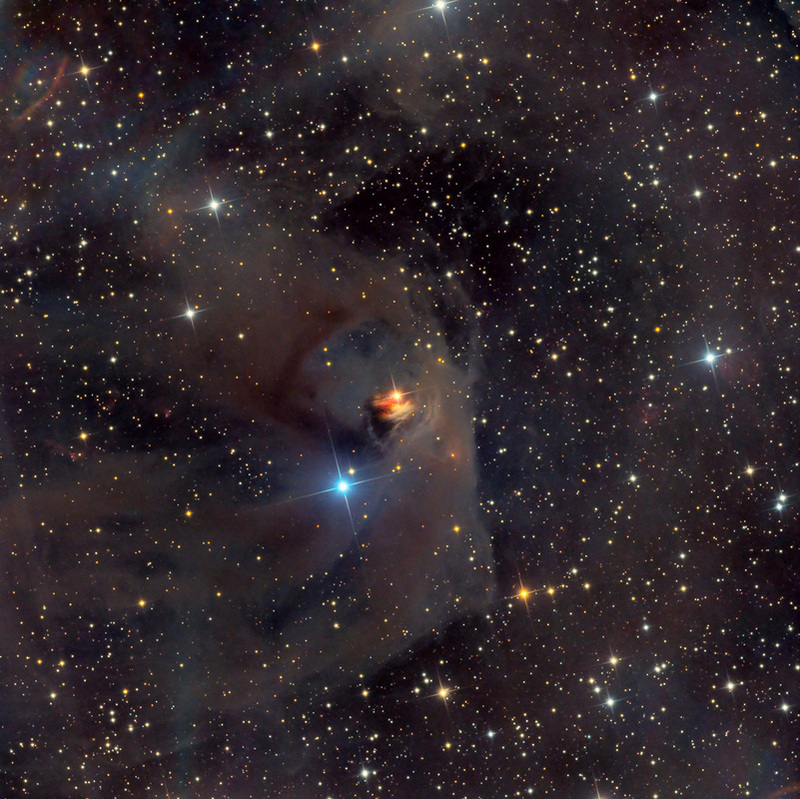 Illuminated by the bright golden star, T Tauri at center, Hind's Variable Nebula is a Herbig–Haro object. NGC 1555 was discovered in 1852 by English astronomer John Russell Hind. Thanks to my friend and imager extraordinaire Bill Snyder for allowing me to process the data.